Los Angeles, California, July 24, 2016 – A new website has been launched for the innovative secure connected steering wheel -the SteerClear Wheel that communicates intuitively to the driver through information, light, color and sensations. “We are pleased with the new design and think that it illustrates clearly the great features of the SteerClear Wheel,” said Lynn Walford, inventor and patent-filer of the whole new concept in steering wheel design and implementation. 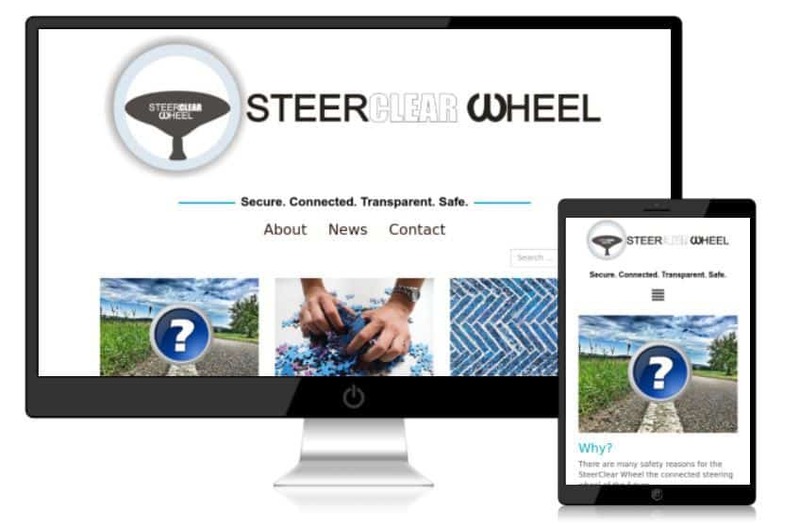 The SteerClear Wheel website was designed to be easily navigated on computers, tablets and mobile devices. Images are sized quickly through a responsive theme. Drawings, photos and charts for the SteeClear Wheel are available in both high and low resolutions to enable exact viewing. The SteerClear Wheel website contains all the necessary facts and figures that prove the great market for the first transparent steering wheel to offer connected advanced safety features. The supporting data and demographics section of the website are culled from industry analysts, university research findings, government agencies, automobile organizations and news media. The “News” section of the SteerClear Wheel website offers the latest news stories about the ground-breaking product. For readers who like get news update via email visitors can sign up for a free email newsletter. Twitter users can follow @SteerClearWheel on Twitter.